Mmmmm…. chili. Is there another food that is as synonymous with colder months (perhaps pot roast)? 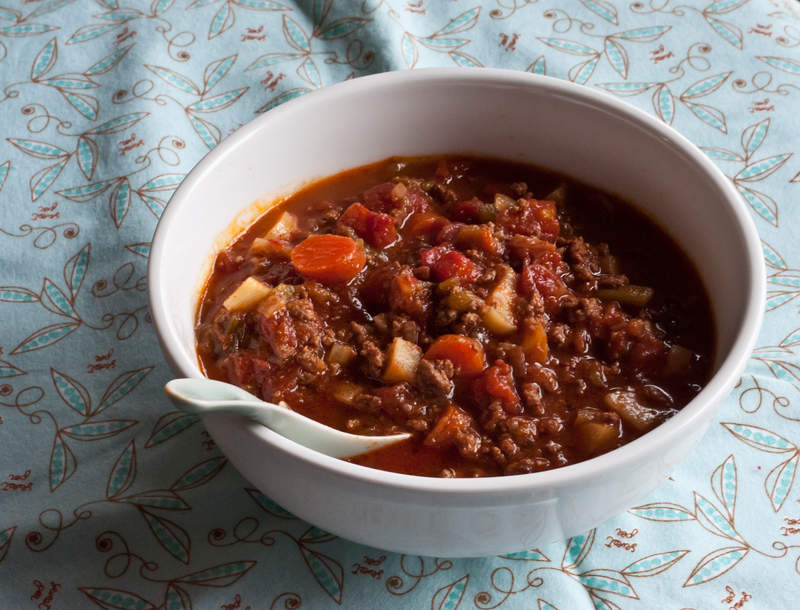 Chili is one of those ridiculously easy to make dishes that is a great thing to always have in your back pocket in case life throws you a cold, rainy day. This version foregoes the beans in favor of more paleo-friendly parsnip and carrot chunks. Hearty, filling, and warming to the core; this dinner serves as a long-form weeknight dinner and perfect back of the fridge/freezer lurker. Heat a large pot over medium-high heat. Add the coconut oil. Add the onions and celery and sautee until the onions are translucent, about 4 minutes. Add the beef and spices and sautee until browned. Add the parsnips, carrots, tomatoes, chiles, 2 big pinches salt and 3/4 of a can of water and stir. Bring up to a boil, reduce the heat, cover and let simmer an hour. Taste and re-salt if needed.